Biking | Live Healthy S.C. Being physically active is one of the most important steps that people of all ages and abilities can take to improve their health. 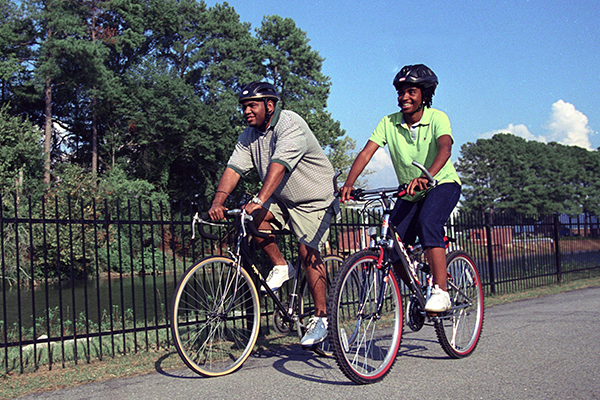 In South Carolina, the Active Community Environments (ACE) Special Project is taking action to improve access and opportunities for physical activity throughout the state. The counties of Barnwell, Colleton, Greenwood, Lexington, Newberry, and Richland were recently recognized by Eat Smart Move More South Carolina and the SC Department of Health and Environmental Control for increasing access to safe physical activity through the ACE Special Project. Recognition event celebrating the six counties. A cyclist uses designated crossings in Greenwood. Some of the project strategies included: installing road signs; creating bike lanes and bike boulevards; improving school safety with fencing and crossing guard equipment; and creating master bicycle and pedestrian plans for future community improvements. 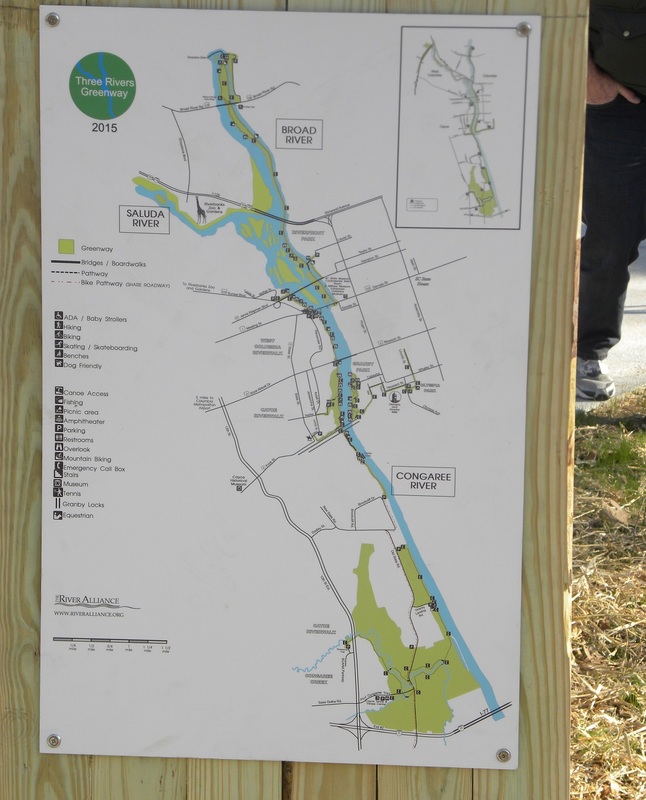 The six projects took place from May 2014 – June 2015 and lessons learned will be used to assist other communities that want to create physical activity options for their residents. The focus of the ACE Special Project was for communities to consider the impact of community design on active living. The program aligns with Step It Up! The Surgeon General’s Call to Action to Promote Walking and Walkable Communities. One of the Call to Action’s five strategic goals is to design communities that make it safe and easy for people of all ages and abilities to walk. Increasing people’s physical activity level can significantly reduce their risk of chronic disease and premature death while supporting positive mental health and healthy aging. For more information on the ACE Special Project, please contact Kelly Kavanaugh at kavanak@dhec.sc.gov. This entry was posted in Community Health and tagged A Healthier State, ACE, Biking, community, fitness, health, obesity, physical activity, walking on November 5, 2015 by SC DHEC. Impacting nearly 35,000 state employees, the new A Healthier State initiative is promoting improved health by providing comprehensive baseline worksite assessments, model policies, and wellness consultation services. DHEC is proud to kick off a component of its worksite wellness initiative this month. The National Bike Challenge is a nationwide event uniting thousands of current bicyclists—and encouraging countless new riders. It is a free and easy way to challenge yourself, your colleagues and your community to ride more while competing on a local, state and national level. Sponsored by Kimberly-Clark and People for Bikes, the program aims to unite 75,000 riders to pedal 35 million miles from May 1, 2015 until September 30, 2015. To help promote a healthy lifestyle and air quality, DHEC is taking part in the challenge this year. Please join us – ride for air quality, for health, for DHEC, and for South Carolina! Riders are awarded 1 point for each mile ridden and 20 points for each day in which they ride at least one mile. That’s a lot of points for a little biking! 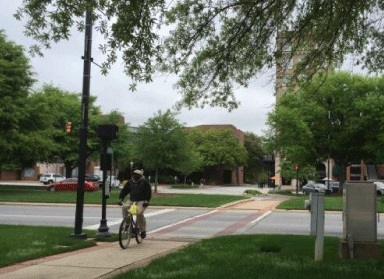 DHEC employees – to sign up, visit nationalbikechallenge.org. After you’ve registered, search workplaces and join the S.C. Dept. of Health and Environmental Control. For more information, please contact Leslie Coolidge or Melissa Palmer. This entry was posted in Air Quality, Employee Wellness and tagged Biking, Cycling, National Bike Challenge, People for Bikes on May 6, 2015 by SC DHEC.